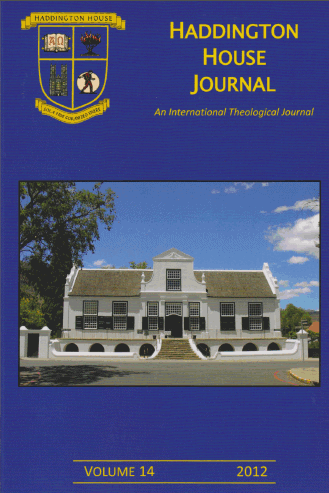 The good folks at Haddington House Journal have kindly sent me the articles from volume 14 (2012). I trust that you find them of interest. Jack C. Whytock, “Devotional: Thy Word Is A Lamp,” 5-8. Jack C. Whytock, “Urban Ministry in Khayelitsha, South Africa,” 9-11. Ray Silver, “Information Technology in Missions in Theological Colleges in the Majority World,” 13-20. James P. Hering, “‘Are You Growin’, Man?’ A Second Look at Pauline Growth Imagery,” 21-25. Ralph C. du Toit, “Discernment As an Essential Leadership Quality,” 27-31. Andrew Murray, “Heidelberg Catechism Twenty-Fifth Sunday: The Sacraments,” 33-42. 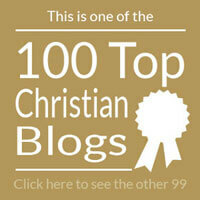 Alistair I. Wilson, “God’s Good News for a Marginalised African Man, Acts 8:26-40,” 43-51. J. Cameron Fraser, “Developments In Biblical Counseling,” 127-153. Kenneth J. Stewart, “Daniel Defoe’s Robinson Crusoe,” 173-188. Click here to visit the download page to access the pdfs.